Devin Ryan and Eddie Blue, winners of the 2017 American Gold Cup CSI4*-W. Photo provided by Phelps Media Group. The American Gold Cup CSI4*-W is pleased to announce its return to Old Salem Farm for the seventh consecutive year in scenic North Salem, New York, Sept. 26-30. The prestigious show jumping classic is set to only be held during the new, later dates in 2018 and will return to its regularly scheduled mid-September dates in 2019. 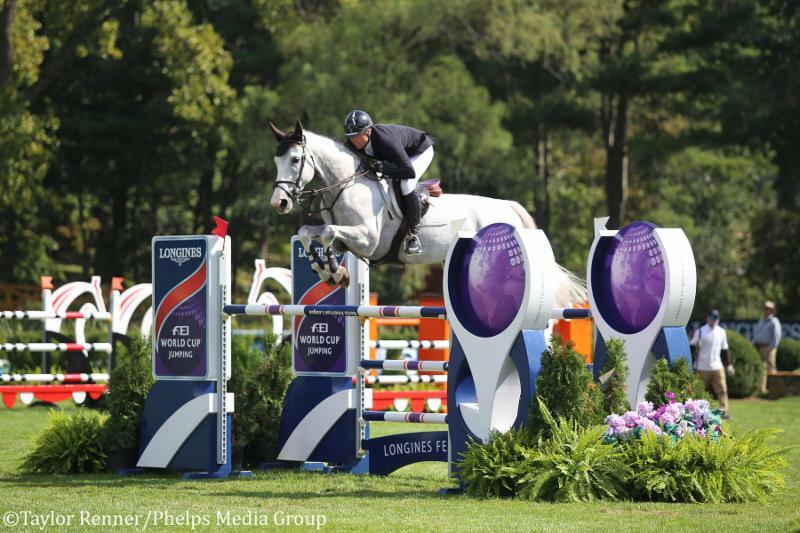 Competition in 2018 will play host to a number of important FEI ranking events, culminating with the prestigious Longines FEI World Cup™ Jumping New York CSI4*-W on Sunday, Sept. 30, where top riders, fresh off competing at the FEI World Equestrian Games™, will go head-to-head for the illustrious American Gold Cup. The 2018 event will also feature the Hermès Sellier Cup and the Fidelity Investments® Classic CSI4* on Saturday, Sept. 29. If guests are looking to elevate their experience at the 2018 American Gold Cup, they’re invited to book a VIP table in the beautiful Jockey Club. Each year, these tables sell quickly so be sure to book yours today as reservations are now being accepted! Contact Chelsea Dwinell at chelsead@oldsalemfarm.net to reserve your table or click here. This popular venue provides spectators premium seating, deliciously catered, gourmet cuisine and a variety of beverage options. 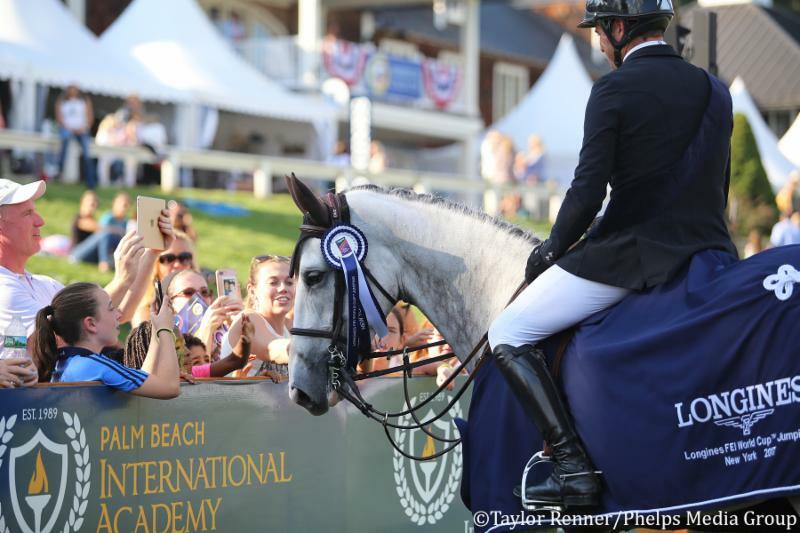 Devin Ryan and Eddie Blue celebrated with fans at the 2017 American Gold Cup following their win in the $216,000 Longines FEI World Cup™ Jumping New York CSI4*-W. Photo provided by Phelps Media Group. Prior to the weekend’s highlight events, competition is free to attend and open to the public Wednesday through Friday. 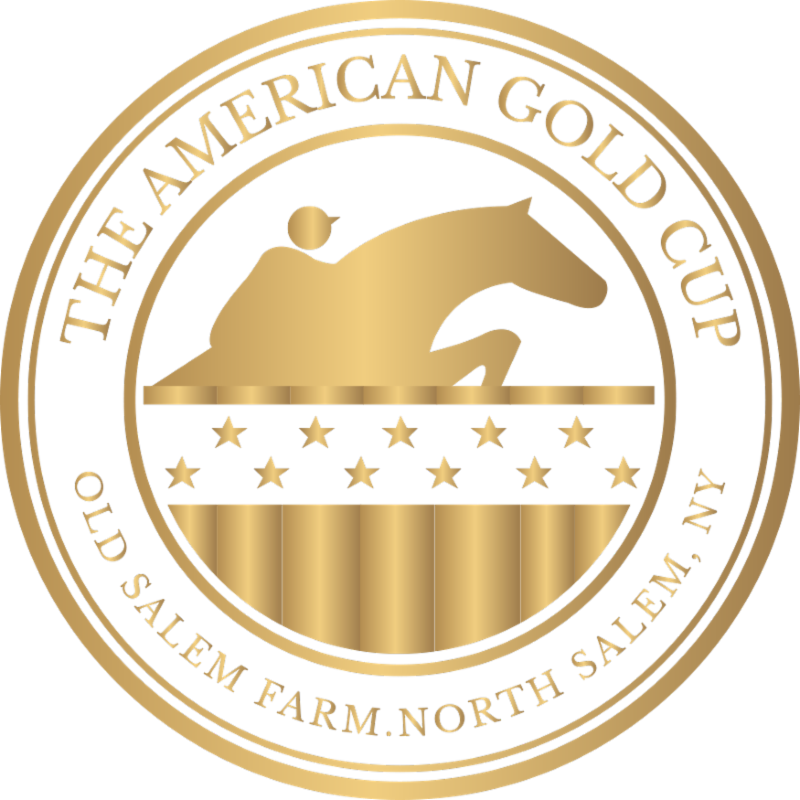 Tickets for Saturday and Sunday at the 2018 American Gold Cup will go on sale in May! Stay tuned for more information and updates on how to purchase tickets! In addition, family entertainment will begin at 11 a.m. on Saturday and Sunday and will include fan-favorites such as pony rides, face painting and shopping on Boutique Row featuring custom riding apparel, antiques, jewelry, pet accessories, portrait artists, clothing, home accents and much more!